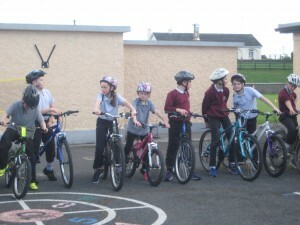 From Monday 3rd of October, all of the Glencorrib NS pupils and staff will be putting on their running shoes and taking part in a new initiative called the “Daily Mile”. “The Daily Mile” is very simple to start in a school. Every day at 12pm we will change into runners and a rain-coat and will walk, jog or sprint around the pitch for a straight fifteen minutes. Most children will average a mile in this 15 minutes, however the “Daily Mile” is not a competitive activity. Instead the “Daily Mile” is a physical activity which is aimed at improving our physical, social and emotional well-being. It can also help children to focus and concentrate in the classroom and raise their attainment! So let’s all get out and run about!! Ready, Steady….Go!! Success in the Cross Country Racing! 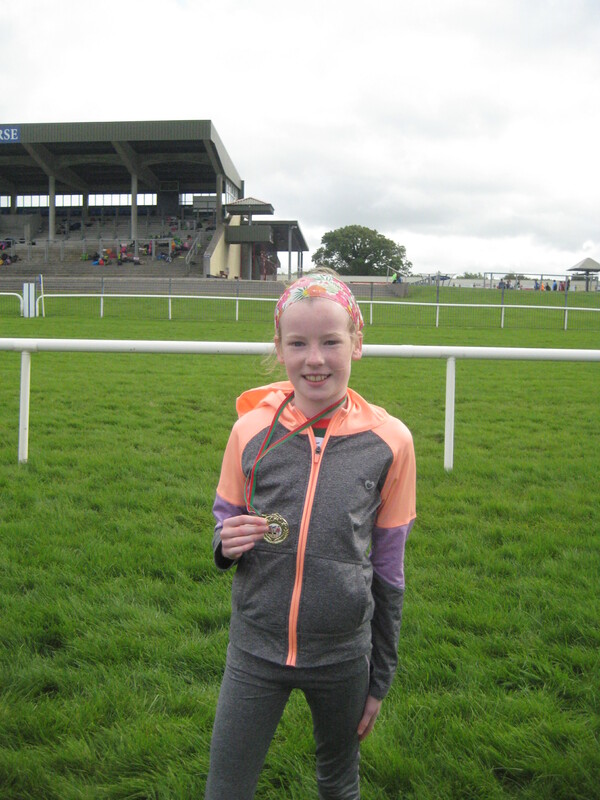 On Thursday, one of our sixth class pupils, Leah, took part in the Mayo final of the cross country race in Ballina. 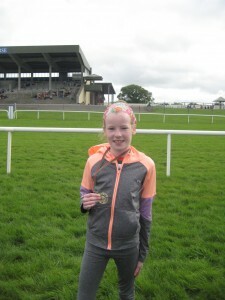 Leah came ninth and is now through to the Connaught stages of the cross country racing. This will take place on the 15th of October in Sligo. 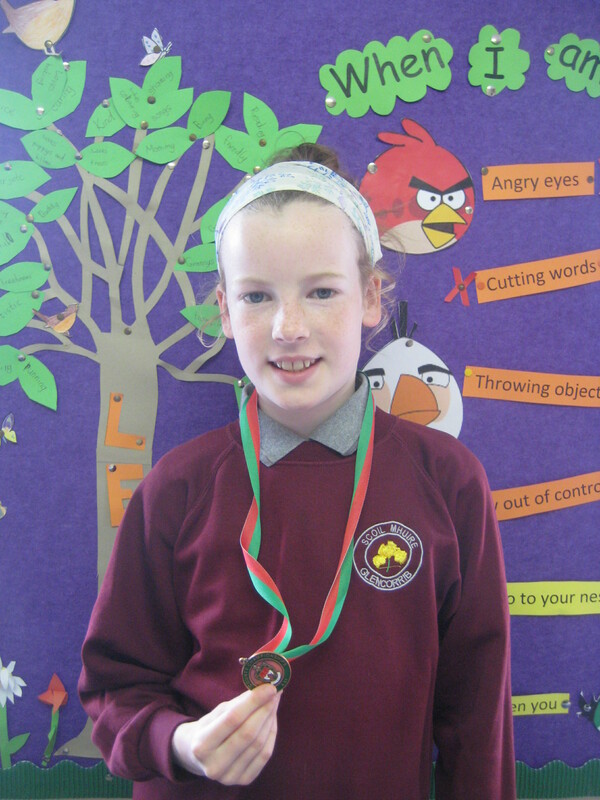 Well done Leah! We wish her the very best of luck in the next stage! We were amazed at how much the rhubarb had sprouted over the summer holidays. 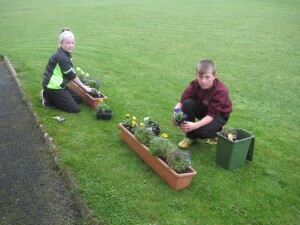 On Tuesday evening, the senior room and some of the junior room set out to the school garden to pick some. Everyone got several stalks for their families and that evening Glencorrib was full of the delicious aroma of rhubarb tarts. Yum! 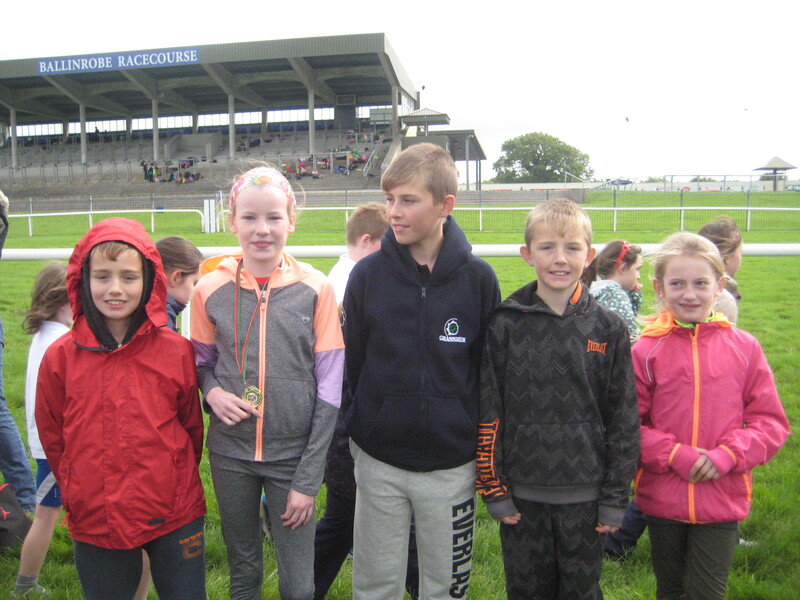 On Thursday we took part in the cross country race in Ballinrobe race course. Five people were picked to go from our school. 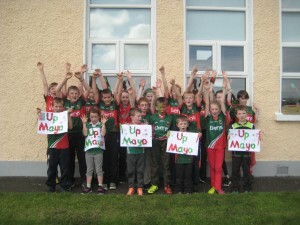 We had to compete against lots of other schools in south Mayo. 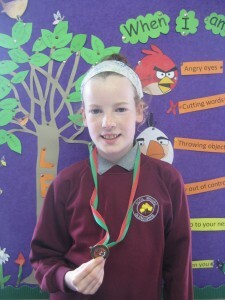 Everybody performed really well and especially Leah who is through to the Mayo county final next Thursday in Ballina. We wish Leah the very best of luck! 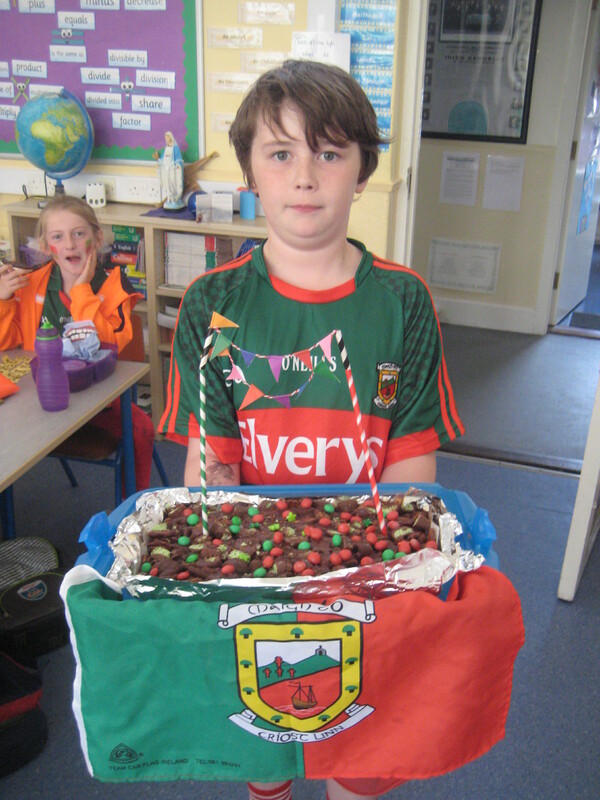 We are all so excited for the All Ireland Final on Sunday. 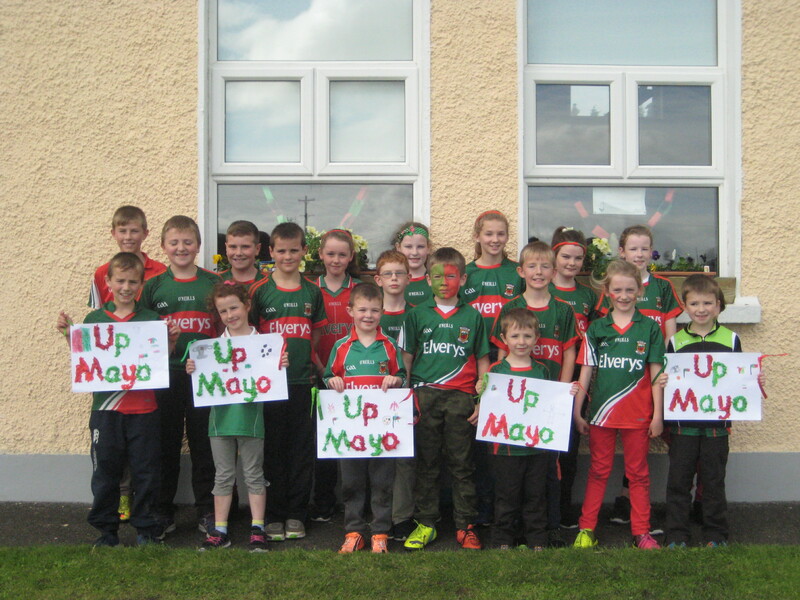 We had a green and red day in our school today to show our support to the Mayo team. 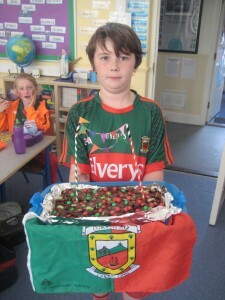 We had a lovely Mayo cake, baked by Matthew, one of our 4th class pupils! 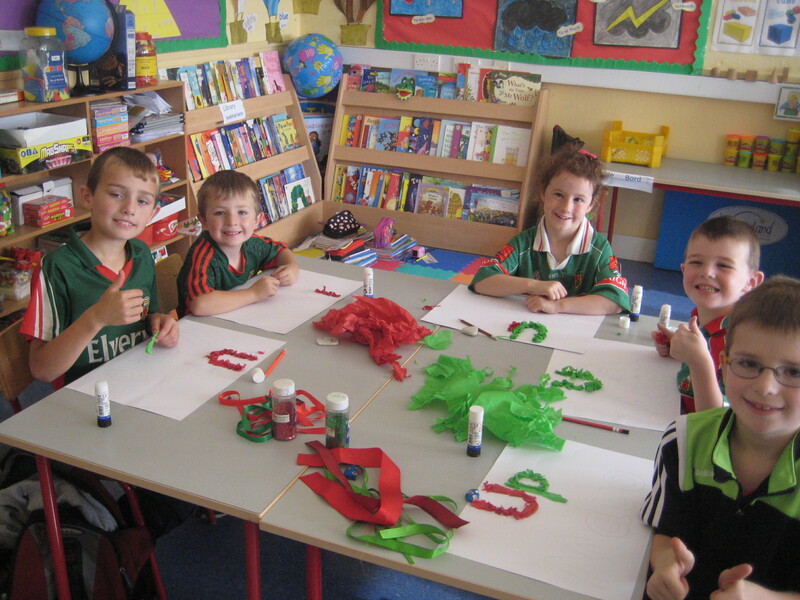 Our junior room made some lovely ‘Up Mayo’ pictures during art. Our senior room were busy singing Mayo songs and making Mayo decorations. 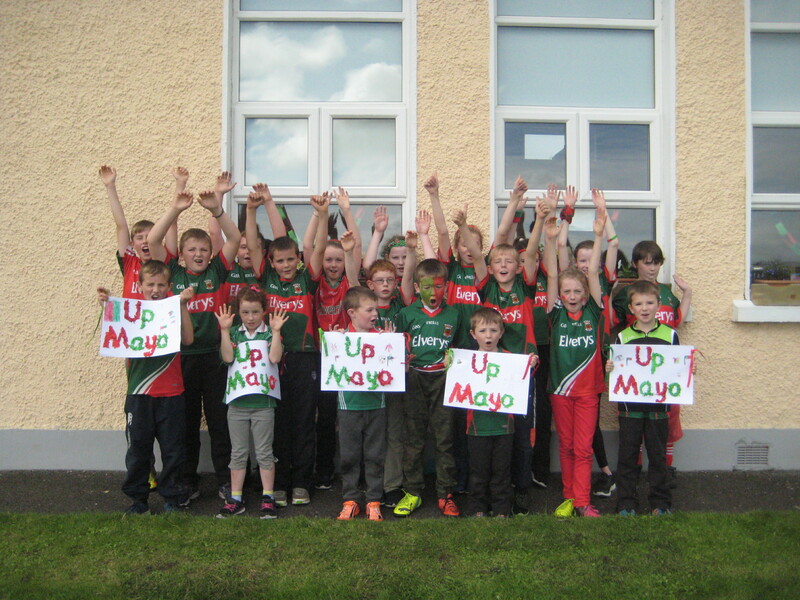 We wish Mayo the very best of luck on Sunday. 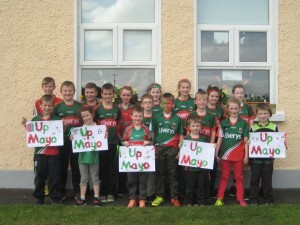 Up Mayo! 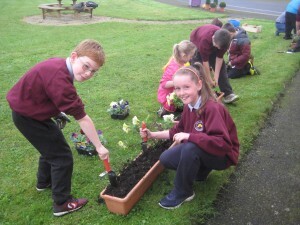 On Thursday our senior room put on their green fingers and spent some time in the school garden. 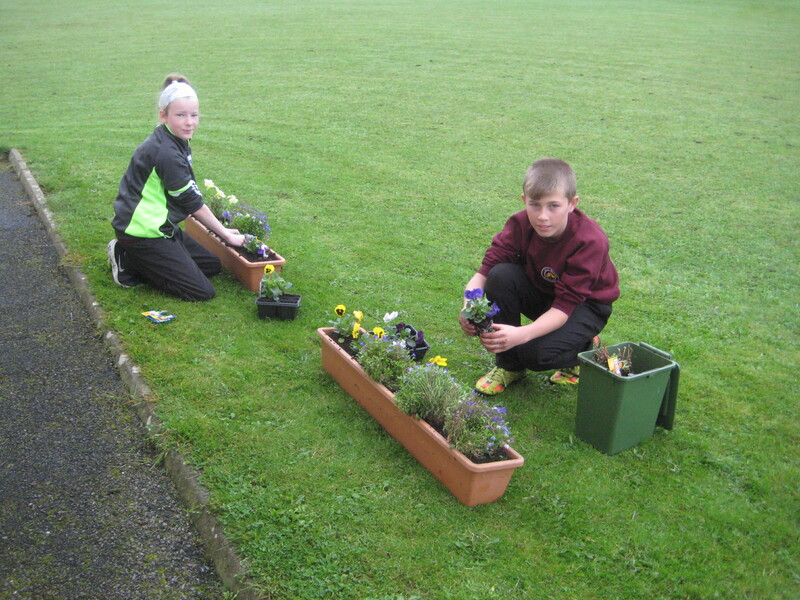 We planted some colourful flowers in our window boxes to help brighten up our school during the upcoming winter months. We really enjoy gardening. 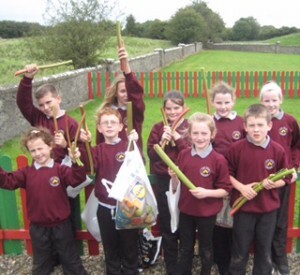 Have a look at all our hard work in the garden next time you pass our school! 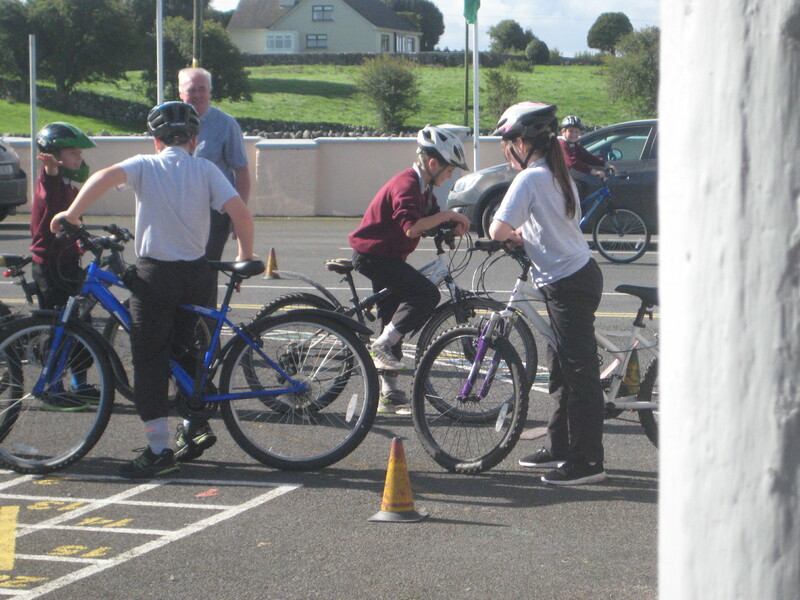 We are currently taking part in a cycling programme every Tuesday afternoon. 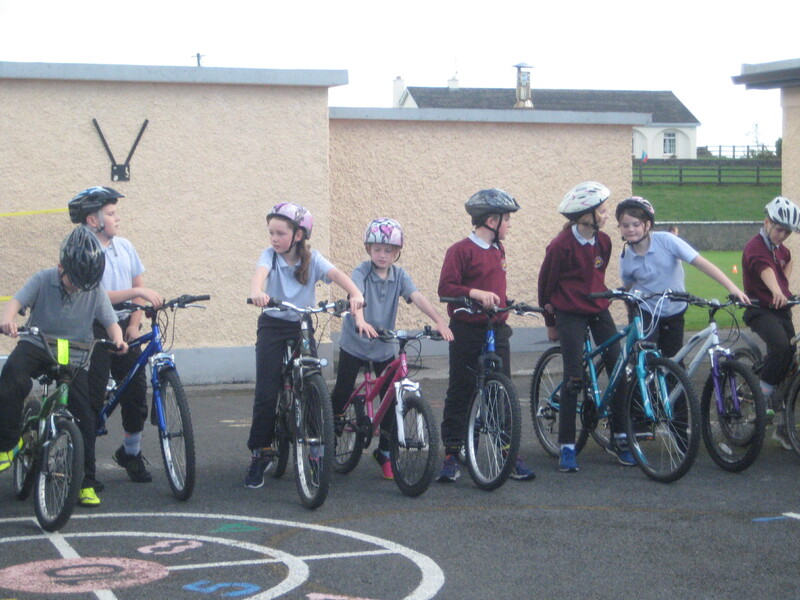 We learn about road safety and how to cycle correctly. We also play lots of enjoyable cycling games, such as ‘Figure of Eight’, ‘The Circle Game’ and ‘Simon Says’. We really love taking part in this programme, it’s great fun and teaches us really important cycling skills.